Dr. Scott Fry leads Ellume’s Research & Development, including direct responsibility for in-home diagnostic product development and design control. He also has an essential role in immunoassay development for the professional range of products and sample processing, and collection devices. Joining Ellume in January 2013, Scott previously held senior research positions at Panbio, Alere and the University of Queensland. 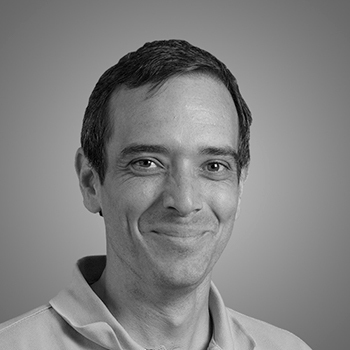 Scott has more than ten years experience in assay development and commercialisation and holds a Bachelor of Science in Medical Microbiology and Immunology (Honors) and a PhD in Molecular Microbiology. Scott has authored fourteen peer reviewed publications and co-invented six international patents.